The refugees who began settling here 40 years ago changed a lot over the years — from impoverished to secure, from powerless to influential, from Vietnamese Americans to, simply, Americans. Along the way they changed the people who were here before them, too. The lucky ones carried bread bags holding all their worldly possessions. The others had nothing – no extra clothes, no money, not even a homeland after Saigon fell 40 years ago this week. More than 125,000 refugees managed to flee. And 50,000 of them came through Camp Pendleton Marine Corps Base bound for new lives in Southern California. Day after day, plane after plane, they touched down at El Toro Marine Corps Air Station. Marines set up a massive tent city on the dusty hillsides of Camp Pendleton and ladled out bowls of beef noodle soup, buttered noodles and steamed rice with sliced cucumbers. Some Marines opened their wallets to buy chopsticks. Not everyone was as welcoming. But their home, South Vietnam, no longer existed. So the new refugees scraped and saved and built a new homeland – an outpost in Southern California that would stand as a symbol of defiance and hope. 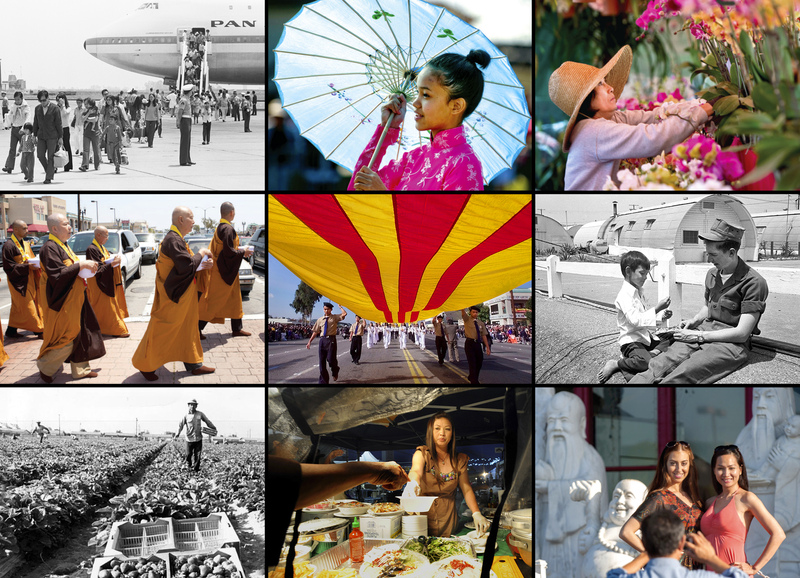 From a stretch of strawberry fields and salvage yards in Westminster, they created what would become the cultural capital of all Vietnamese in exile – Little Saigon. At first their attraction to conservative Orange County seemed an ill fit. At almost every turn, they were spurned, blamed and told to bemore like us. But it turned out their anti-communist politics, competitive spirit and entrepreneurial hearts were like us. 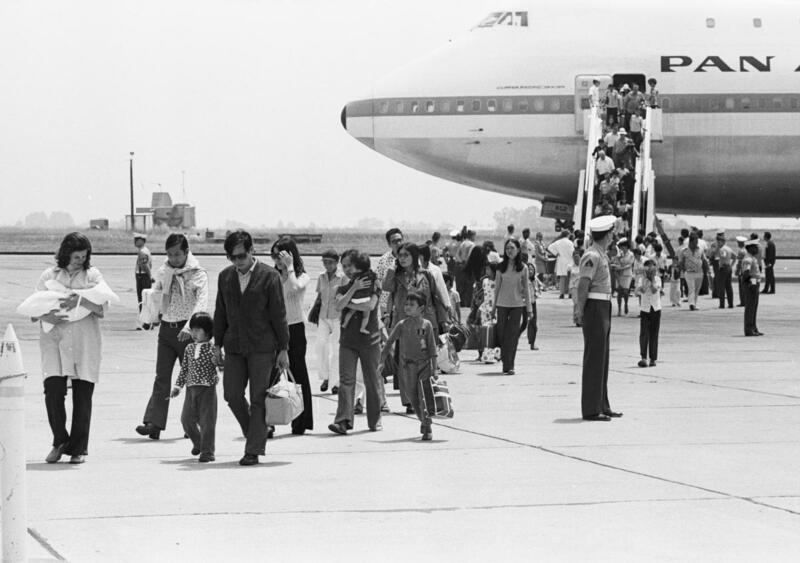 First Vietnamese refugees arrive at El Toro Marine Air Station on April 29, 1975. Most were American dependents and workers with the U.S Mission. In story after story, you hear a common refrain, like that of Hung Trinh, 76, of Westminster, who worked two jobs, sweeping floors and pumping gas for $2.50 an hour while raising four children. As soon as that first plane landed at El Toro 40 years ago, the Vietnamese refugees began to weave their lives into the American fabric. Each decade brought new setbacks, failures and infighting. In four decades, this great wave of immigrants – like the Irish, the Italians and others before them – has left an indelible mark. And they changed Orange County forever. 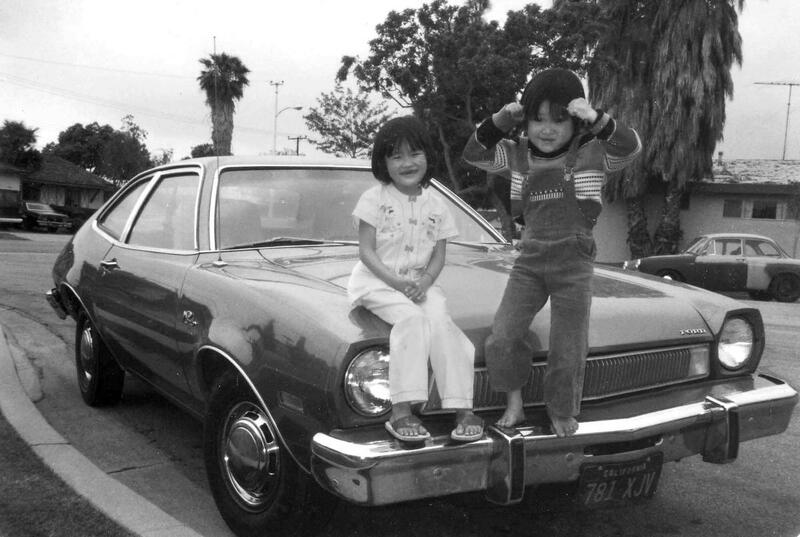 Teresa Nguyen, left, and Phu Nguyen, right, with the family’s first car, a Ford Pinto. ///ADDITIONAL INFO: 04.VietCountyChanged2.04xx.av – shot 040815 — Courtesy of Phu Nguyen. Phu Nguyen’s family relflects the assimilation of Vietnamese Americans who first came to OC 40 years ago. 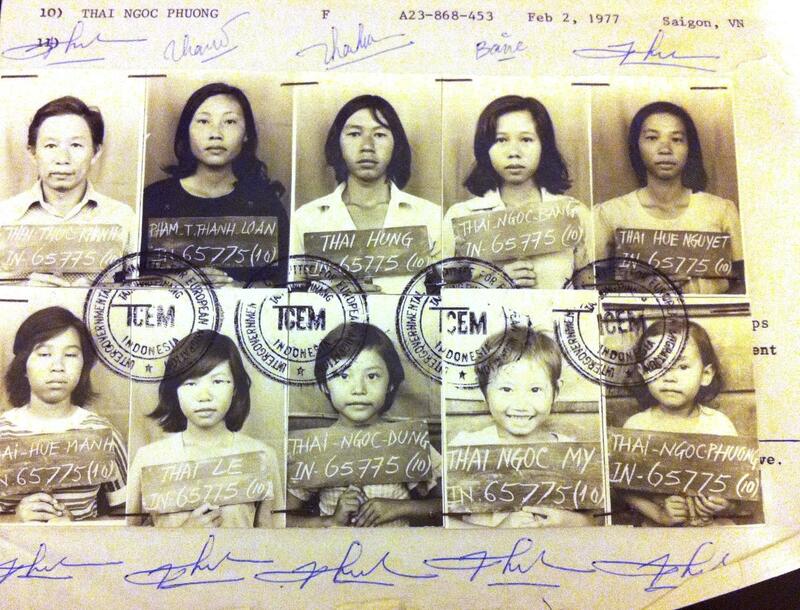 Phu’s family came as boat people in 1981, when Phu was age 3. Several children died when the boat got stranded for 29 days . 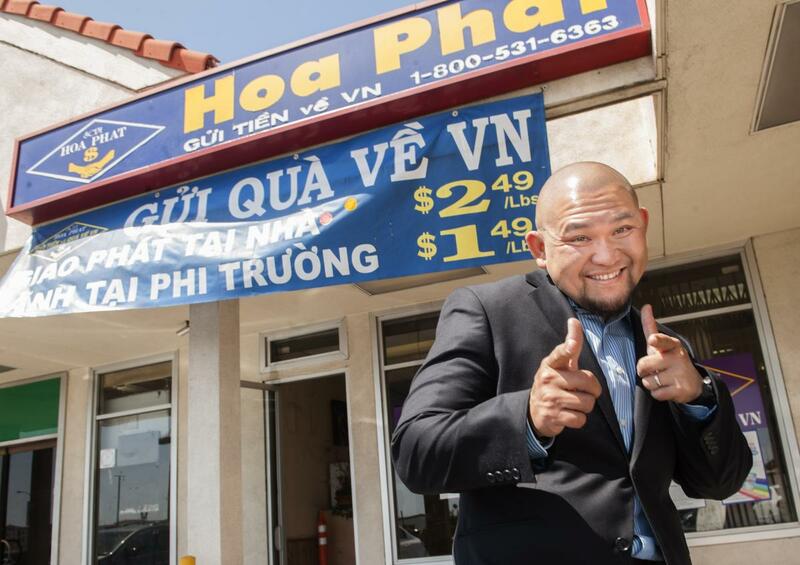 In Orange County Phat Nguyen salvaged junk in alleys, then started a small market. Now they run cargo business, then a money transfer business with 30 branches in the US and 100 employees in Vietnam. Life began at the bottom for those first arrivals. A South Vietnamese Army colonel scrubbed toilets in America. A South Vietnamese industrialist pumped gas. A South Vietnamese congressman cleaned houses. Others cut fish, washed dishes or sold junk to survive. Dung (pronounced “Yung”) Trinh’s family arrived with nothing and moved into a shuttered YWCA in Long Beach. In 1978, a few enterprising refugees set up shops along a downtrodden section of Bolsa Avenue dotted with salvage yards, repair shops and farmland. Danh Quach took out a $37,000 loan to open a pharmacy, among the first Vietnamese-owned businesses, in a strip mall across from a Japanese nursery and a strawberry field. 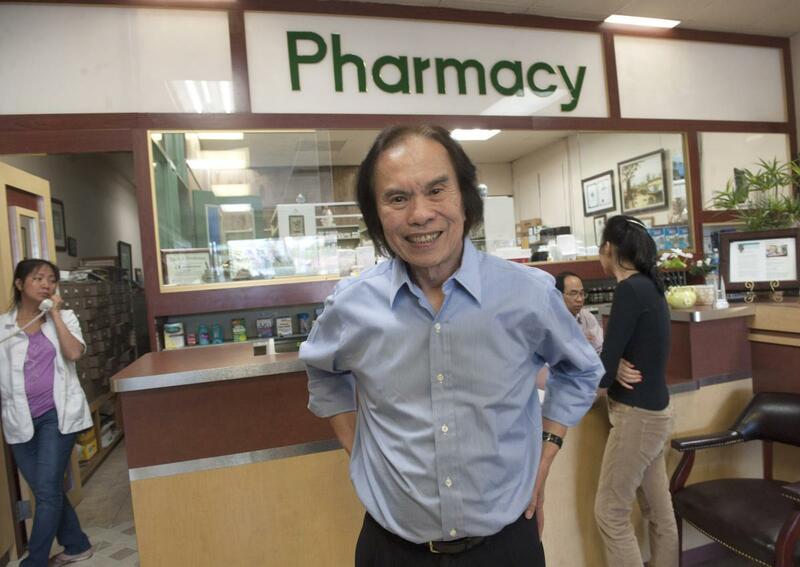 “At lunchtime, there was no place to eat, no restaurants,” says Quach, 76, owner of Danh’s Pharmacy. His neighbor was another refugee, a savvy real estate agent named Frank Jao. And, with his help, soon there would be plenty of Vietnamese restaurants. And shops. And offices. A Vietnamese-language newspaper opened that year near the pharmacy. The editor hand-delivered the first copies door-to-door. A small community soon coalesced around the Que Huong grocery, the Hoa Binh Market, the Thanh My and Hoai Huong restaurants – and an Equitable Life Insurance office run by Dean Lam, who invited his brother, Tony Lam, to help him out. The Lams would play a role in what was to follow as well. Frank Jao founded Bridgecreek Development, one of the largest real estate developers in Little Saigon, which developed the popular Asian Garden Mall on Bolsa Avenue. Lttle SaigonÕs centerpiece is the 150,000-square-foot Asian Garden Mall (Phuc Loc Tho), a hub of Vietnamese-American businesses and cultural activity in Little Saigon where kids can buy fresh-squeezed sugarcane juice as adults bargain down prices at jewelry stores and the countyÕs largest gold jewelry mart under one roof. The seeds of Little Saigon can be traced to 1978. But its success can be traced to 1980. That’s when the second great wave of Vietnamese – the boat people – began to arrive. The number of refugees living in Westminster (2,400) lagged those in Santa Ana (6,203), Garden Grove (3,338) and Huntington Beach (2,779). But increasingly, Bolsa is where they all gravitated to eat, meet, shop and get news from home. That was the start of a land boom. Quach, Jao and other early pioneers bought up cheap land along Bolsa. And what had been 30 Vietnamese shops in 1979 grew to a few hundred by 1981. “This is like a regular Vietnamese town,” a resident of Bolsa Verde Estates mobile home park told the Register in 1981. In May of that year, 105 Westminster residents petitioned the Westminster City Council to block business licenses to Vietnamese immigrants. The council denied the request, but racial tensions mounted. Stories circulated that the Vietnamese were getting preference in affordable housing, welfare and job-training programs. In October 1981, Garden Grove Mayor Elerth Erickson called an emergency news conference, at which he alleged that local refugees had caused an outbreak of tuberculosis and leprosy. By 1981, about 1,000 refugees a month were streaming into Orange County, including the family of one 5-year-old girl who would grow up to be the first Vietnamese American state senator in the United States. But the cost of helping them worried the county Board of Supervisors. But the refugees kept coming. And Bolsa kept booming. A community of a few hundred Vietnamese businesses in 1981 grew to more than 500 businesses by 1986. This growth would trigger even bigger problems for America’s newest arrivals. Frank Jao is one of the most successful businessmen in Little Saigon. He is the developer of the iconic Asian Garden Mall and numerous shopping centers in Little Saigon. The man who would become Little Saigon’s most prominent businessman landed in America with nothing more than the clothes on his back. Frank Jao was a natural salesman. Within days of arriving in Whittier at age 27, he was selling vacuums door-to-door. Within a year he was selling property in Westminster. In 1978, he opened Bridgecreek Development on Bolsa next to Danh’s Pharmacy. His plan: Find Vietnamese merchants to fill vacant shopping centers, and find Asian investors to build new shopping centers. By 1987, he had developed much of Little Saigon, whose 550 stores spilled into Garden Grove and Santa Ana. That year he opened Little Saigon’s crown jewel, the Asian Garden Mall. 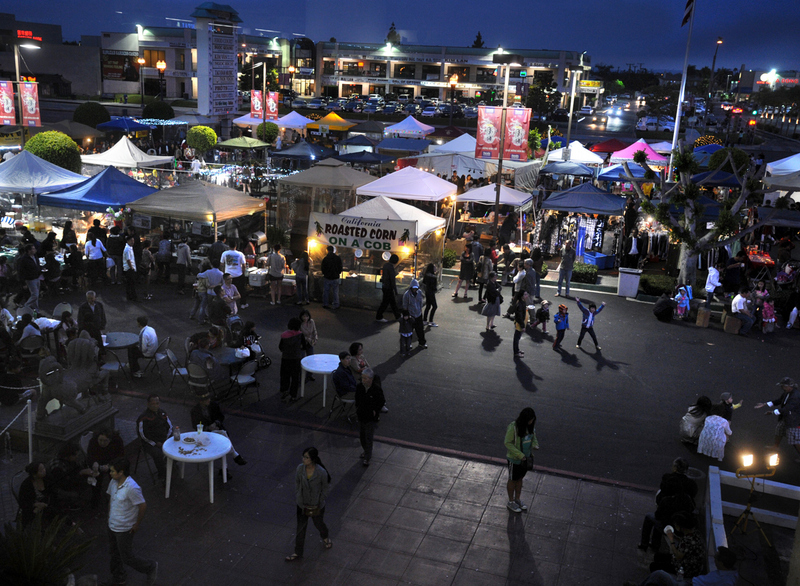 Soon Bolsa would attract 20,000 to 50,000 shoppers each weekend. Its Tet Festival, celebrating the Lunar New Year, was the largest in the nation. Even non-Vietnamese browsed the exotic storefronts where you could buy dried sea horses for kidney pain, antelope tablets for the flu and bird saliva to soothe your cough. Not to mention big bowls of pho for $3, Vietnamese sandwiches called banh mi and French-style coffee with condensed milk. In four years, commercial rents had tripled to $1.50 per square foot from 50 cents. Business boomed. But so did crime. 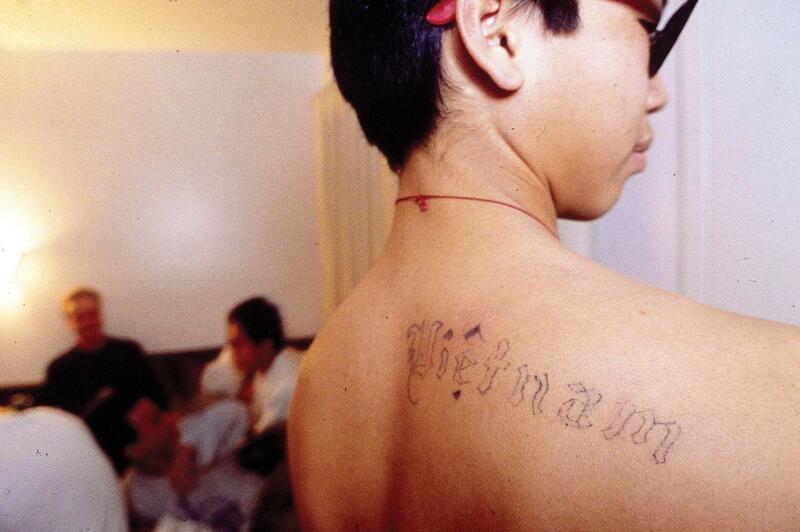 Arson, extortion and home invasions were on the rise, along with Vietnamese gangs. 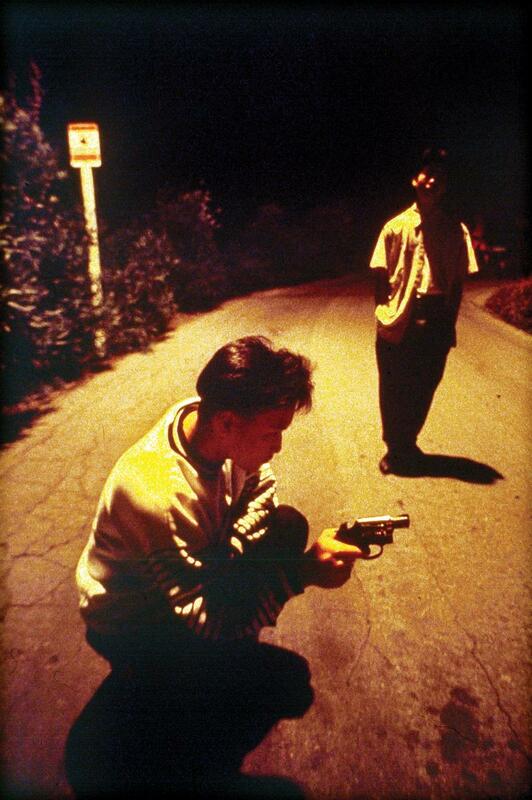 A series of shootings in 1986 forced businesses to post security guards around the clock. That year, Tu Van Nguyen, owner of the Pho 86 Restaurant, earned the nickname “Vietnamese Rambo” after chasing 19 teenagers who refused to pay from his restaurant. He fired an assault rifle over their heads. He held all 19 teens at gunpoint, face down in the parking lot, until police arrived. In 1987, a Vietnamese gang killed a Santa Ana mother of 14 as she prayed. In 1988, Vietnamese gang members held a 9-month-old baby upside down and threatened to shoot the infant unless the parents surrendered all of their money. Gangs, however, were the exception. Many Vietnamese teens overcame language barriers to excel at school. At home they often had to write checks, make doctor’s appointments and handle other business for parents who spoke little or no English. As a fifth-grader, Phu Nguyen rose at 3 a.m. on weekdays to go to Los Angeles with his parents and help them buy fish and produce for their market. He still got all A’s and B’s. In 1987, Dung Trinh graduated from Valley High School in Santa Ana and two days later joined the U.S. Marines, returning for boot camp to Camp Pendleton, where his family had arrived in 1975. The beginning of 1988 saw a new start for Bolsa as well. In February, the city of Westminster designated a 1.5-mile stretch of Bolsa Avenue the Little Saigon Tourist Commercial District. Then in June, Gov. George Deukmejian visited the area, officially naming the district Little Saigon and unveiling freeway signs to promote it. In just 10 years, the Vietnamese had turned a stretch of junkyards, vacant lots and strawberry fields into a hub of 750 businesses. Tensions, however, still simmered below the surface. Vandals defaced Deukmejian’s freeway signs. Vigilantes would shed more blood. And developer Frank Jao, a Vietnamese immigrant of Chinese descent, would alienate many in the community he helped create with something called the Harmony Bridge. Gov. 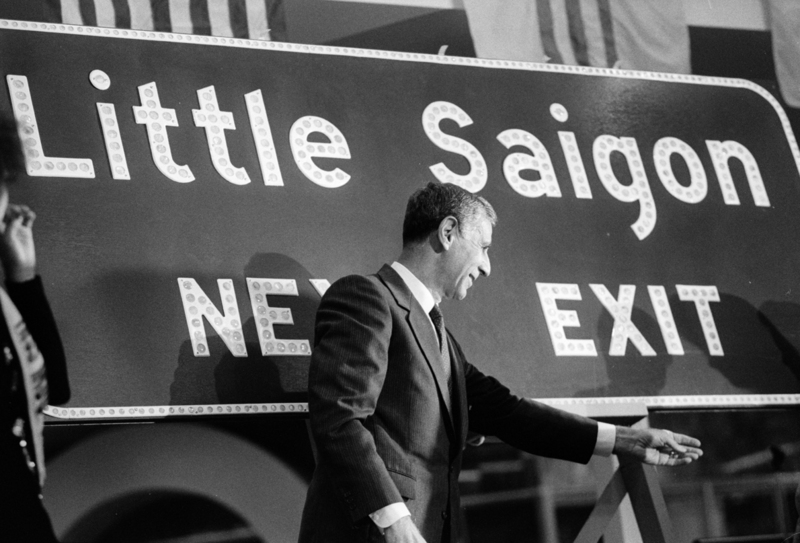 George Deukmejian visited the area, officially naming the district “Little Saigon” and unveiling freeway signs to promote it. One of the people responsible for getting the Little Saigon freeway signs approved was an up-and-coming community activist named Tony Lam. In Vietnam, he had been a prominent businessman with a chauffeur, two maids and a 16-bedroom villa in the French Quarter. But when Saigon fell, he escaped with his family, $10,000 and a portable radio. A month later, he was pumping gas in Huntington Beach – vowing to rebuild his life. Like Frank Jao, Lam was one of the early pioneers of Little Saigon. But where Jao built shopping centers, Lam built connections. He invited Vietnam’s former prime minister, Nguyen Cao Ky, to a backyard luncheon. He invited Vietnam’s former emperor, Bao Dai, to the community’s first Tet Festival, which Lam organized. He gave Gen. William Westmoreland, former commander of U.S. military operations in Vietnam, a personal tour of Little Saigon. Slowly Lam made a name for himself. In 1988, he helped persuade the state to approve 20 freeway signs to attract business to Little Saigon. Businesses applauded. Others protested. During the next Tet Festival, vandals stole one freeway sign and splattered paint over others. One sign was draped with an American flag. By this time, nearly 70,000 Vietnamese lived in Orange County. They’d built 13 major shopping centers out of practically nothing. They’d earned the official recognition of their city and their state, which minted a $20 silver coin in their honor. Yet many Americans still saw them as outsiders. As un-American. If that lesson hadn’t hit home yet, it would two months later when a Vietnamese veterans group sought permission to hold a parade honoring South Vietnamese soldiers who died fighting communists. Fry’s insult was a turning point in the life of Tony Lam. What he sought was a place at the table. And in 1992, he got it. Lam won a seat on the Westminster City Council to become the first elected official among more than 600,000 Vietnamese in the United States. He was profiled in The New York Times. He was invited to speak at Harvard University. He led the way for future Vietnamese politicians. But a political storm was blowing his way. And he would not survive it. 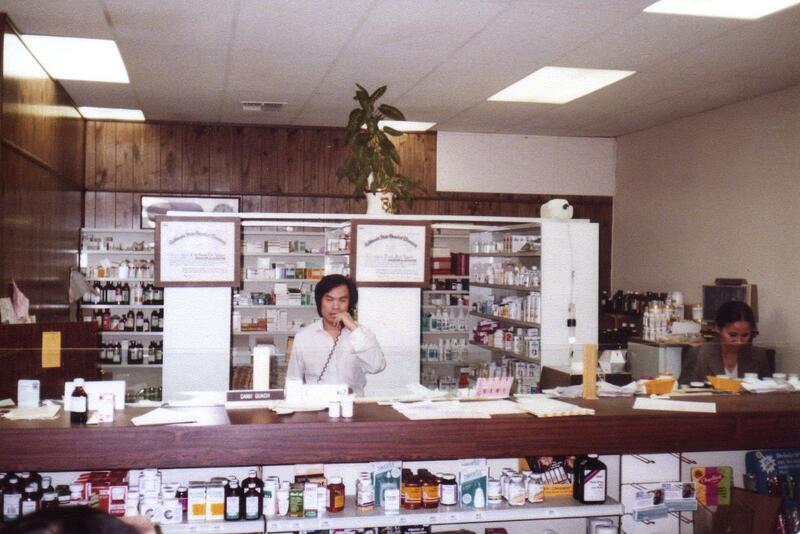 Pharmacist Danh QuachDanh’s opened the first pharmacy in the US that served Vietnamese-American clientele in 1978 in the heart of Little Saigon. “There is no country like the U.S,” said Danh Quach who left Saigon before the city fell at the end of the Vietnam War, “We are blessed to be here.” His son Thomas Tri Quach more recently opened his medical practice next door. April 30th marks the 40th anniversary of the fall of Saigon. Little Saigon boasts the largest enclave established by the largest Vietnamese diaspora outside of Vietnam. Today, Danh’s Pharmacy looks like an old-fashioned drugstore. Twice a week, an 18-wheeler Air France truck backed up to the door to load packages bound for Vietnam – with everything from tobacco to toasters and birth-control pills to bicycle seats. Danh Quach estimates that he shipped 4 tons of merchandise a month under an agreement that allowed U.S. refugees to send $400 a month in humanitarian aid to family and friends in Vietnam. 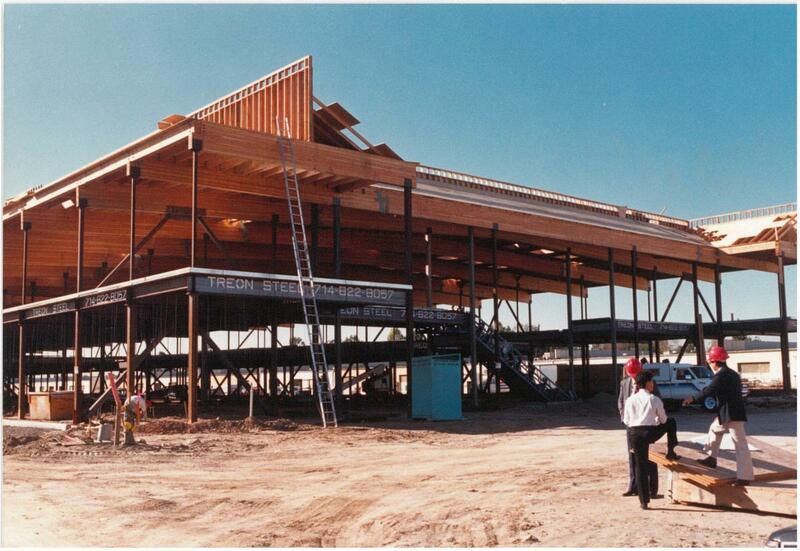 By 1988, fully half of the business done in Little Saigon was connected to the pipeline between Orange County and Vietnam, according to the Vietnamese Chamber of Commerce in Orange County at the time. But local politicians decried the shipments, saying much of the flow violated the U.S. trade embargo, which limited shipments to food, clothing and medicine. Up and down Bolsa Avenue, stores shipped out motorcycles, chain saws, generators, plows, tillers, water pumps and pesticide sprayers. The gift-sending splintered the Vietnamese community. To some it was personal. To others, it was political. But staunch anti-communists refused any support for the communist-run country. The idea of trade with Vietnam became increasingly divisive – even deadly. In 1986, Westminster Realtor Van Khanh Tran was shot twice outside his office after speaking in favor of establishing diplomatic relations with Vietnam. In 1987, Garden Grove journalist Tap Van Pham was killed at his newspaper after running ads from a company suspected of ties to Vietnam’s government. Yen Ngoc Do, founding editor of Little Saigon’s Nguoi Viet Daily News, received death threats, as did A Tu Nguyen, editor of Little Saigon’s Viet Press, who kept an M-16 semiautomatic rifle, a .45 caliber pistol and a .38 caliber revolver at his Westminster office. The threats persisted even after the U.S. lifted its trade embargo on Vietnam in February 1994. That October, Dr. Co Pham, then president of the Vietnamese-American Chamber of Commerce, led a 27-person delegation to Vietnam in hopes of opening trade – legal trade. Critics called him a communist “buffoon” and a megalomaniac who harmed the community. While he was gone, more than 1,000 anti-Hanoi demonstrators in Washington, D.C., shouted slogans against him. When he returned, protesters pounded on his car and picketed his office. One man circulated among the picketers, handing out fliers for a forum to discuss the benefits of trade with Vietnam. No one knew his name at the time, but they would five years later when Truong Van Tran hung a communist flag and portrait of Ho Chi Minh in his Hi-Tek video store on Bolsa, triggering the largest unrest Little Saigon had ever seen. And 53 days of protest in the streets. Protest.pxx 3 2/21/99 jah– photo by Jebb Harris Protesters cruise on Bolsa ave. in westminster at a rally protesting Hi Tek Video displaying a portrait of Ho Chi Minh. Little Saigon had always weathered outside criticism, but the 1990s brought internal conflict that would test its resolve in unprecedented ways. 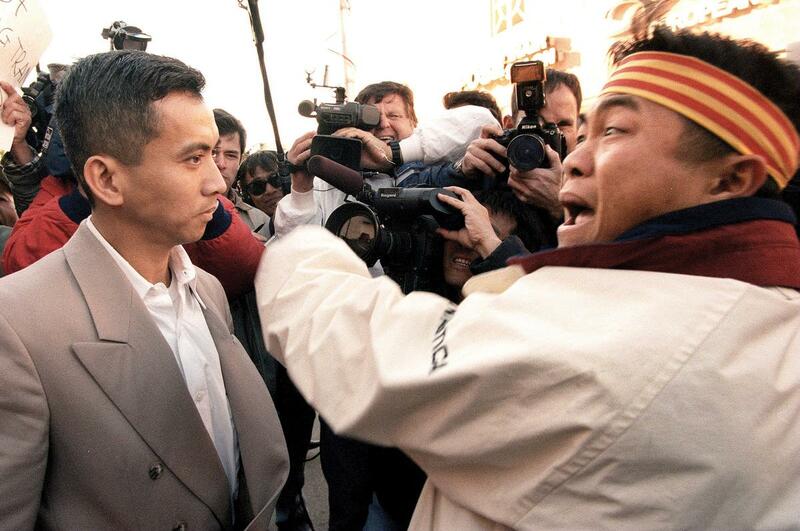 Tony Lam’s 1992 election opened a world of possibilities. But Westminster police still had a list of 837 gang members in town. Businessman Co Pham, who advocated trade, still had to wear a bullet-proof vest in public. And then there was the Harmony Bridge. In 1995, developer Frank Jao proposed an enclosed pedestrian bridge over Bolsa Avenue to connect his Asian Garden Mall to his Asian Village shopping center. He called this $3 million project Harmony Bridge. But instead of creating harmony, it drew howls of discord. Opponents complained that the bridge’s pagoda-style roof and red dragon adornments were “too Chinese.” They disliked Jao’s use of the word “Asian” Garden Mall and “Asian” Village rather than “Vietnamese” Garden Mall and “Vietnamese” Village. “We don’t want for our beloved Little Saigon to be turned into a Chinatown,” community activist Mai Cong said. The uproar grew until Jao scrapped his plans. But the debate highlighted a central question that persists to this day: Should Little Saigon cater to traditional Vietnamese? Or broaden its appeal to younger Vietnamese and non-Vietnamese? By the late ’90s, change was in the air. Soon it would push a new generation into leadership roles. It all began Jan. 17, 1999, when video store owner Truong Van Tran hung a picture of Ho Chi Minh in his window and dared people to make him remove it. 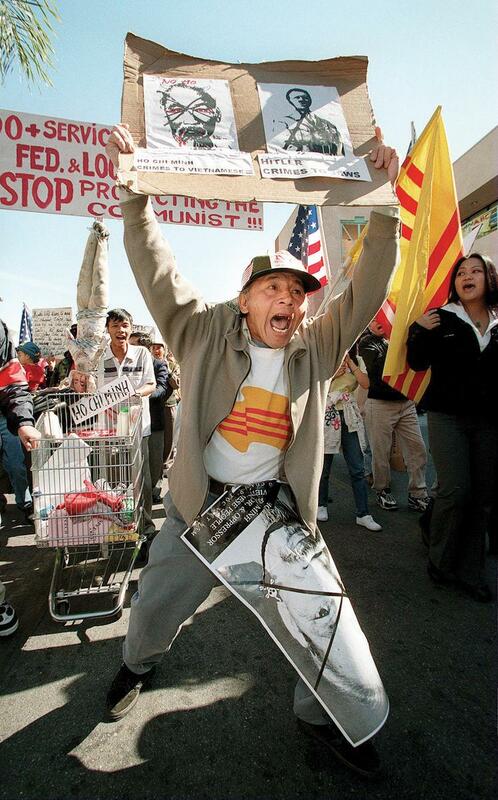 What followed was the largest show of Vietnamese American anger ever seen on U.S. streets. For 53 days, protesters raged. They shouted; they spat on effigies of Ho Chi Minh; they stormed barricades set up to protect Tran’s shop. Some built mock coffins and others vowed to set themselves on fire. That’s how most non-Vietnamese saw the protests – as yet another anti-communism demonstration. Protest leaders, however, framed the protest not as looking backward at past abuses, but as looking forward – condemning continued human-rights abuses in Vietnam. This new message resonated even with second-generation Vietnamese. After 53 days, members of the younger generation organized a candlelight vigil that drew 15,000 people to the streets. “Day by day, the generations came together,” recalls UCLA professor Quyen Di Chuc Bui, 68, of Garden Grove, who attended every day and helped emcee the candlelight vigil. 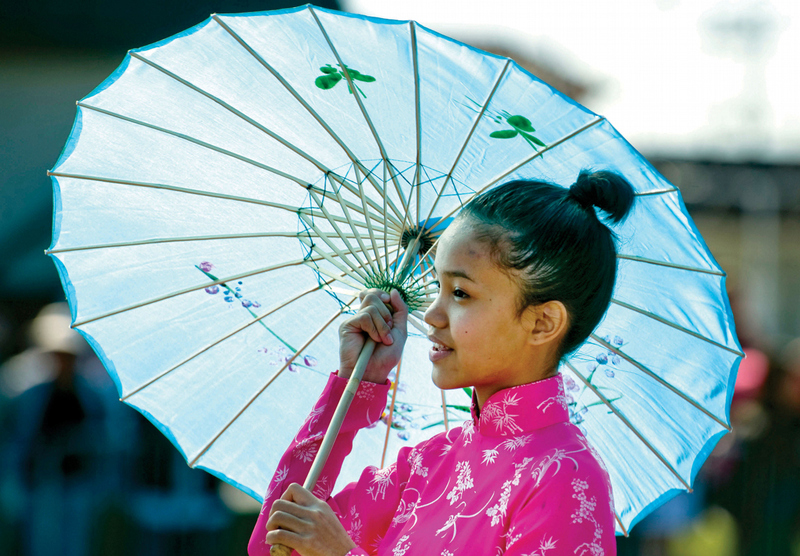 Almost overnight, responsibility for Little Saigon’s future shifted to the next generation. It also shifted the ways in which the next generation would seek change. Ironically, Little Saigon’s most prominent Vietnamese politician, Tony Lam, steered clear of the protests at the advice of the city attorney. For that, protesters picketed his restaurant and called him a communist sympathizer. He fought back against his critics, spending more than $100,000 in legal fees, suing for financial losses and emotional pain. Eventually he sold his restaurant and retired from politics. For others, however, the Hi-Tek protests became a springboard. “The Hi-Tek incident made the community realize it needed a true political voice at the table,” a lawyer who served as intermediary during the protests would later say. The lawyer’s name was Van Tran. And he would lead a new generation of politicians about to rise in Little Saigon. Protesters with signs in the Riverside City Council meeting on Tuesday, February 3, 2015. Garden Grove City Councilman Phat Bui is urging measures against the city of Riverside in protest of its newly cemented sister city relationship with Can Tho, Vietnam. On the night of Feb. 10 of this year, a small mob gathered outside Garden Grove City Hall to shout at their young mayor, Bao Nguyen. “Down with Bao Nguyen,” they chanted, demanding his recall. “Communist!” they yelled, insulting his parents. He broke with a tradition among Little Saigon politicians to lash out against communism at every turn. 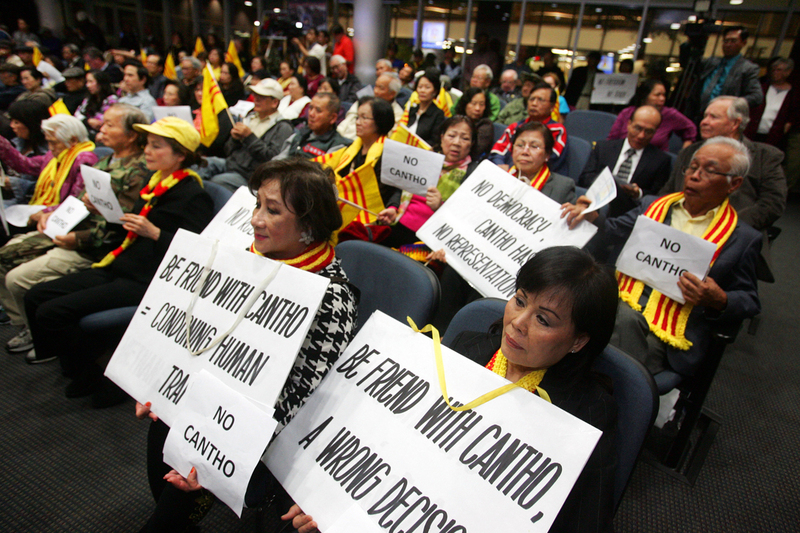 Older Vietnamese Americans had asked the City Council to demand that Riverside rescind its sister-city relationship with Can Tho, Vietnam. “I don’t think it’s appropriate to tell another American city what to do,” he said. 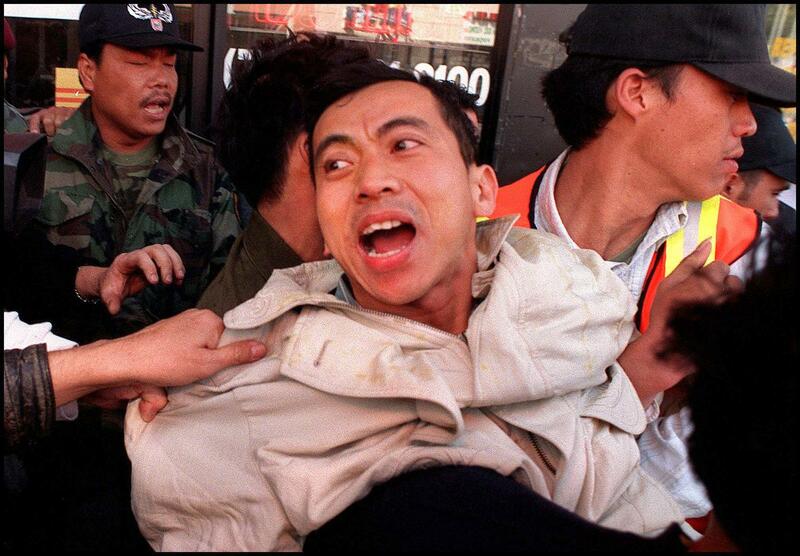 His defiance was one of the clearest signs to date of the generational shift taking place in Little Saigon. For nearly a quarter century after arriving, Little Saigon’s immigrants mostly sat on the sidelines of American politics. “We will win,” Van Tran told his supporters as he waits for election results at the Van Tran for Congress headquarters. //ADDITIONAL INFO: elex.47thcong.1103- 11/02/10 – Photo by Rose Palmisano /The Orange County Register – Republican candidate for 47th Congressional District Van Tran (challenging Dem. Loretta Sanchez) will watch returns come in after 8 p.m. at his campaign headquarters. But that changed in 2000, one year after the Hi-Tek protests, when attorney Van Tran won a seat on the Garden Grove City Council with more votes than any candidate in city history. 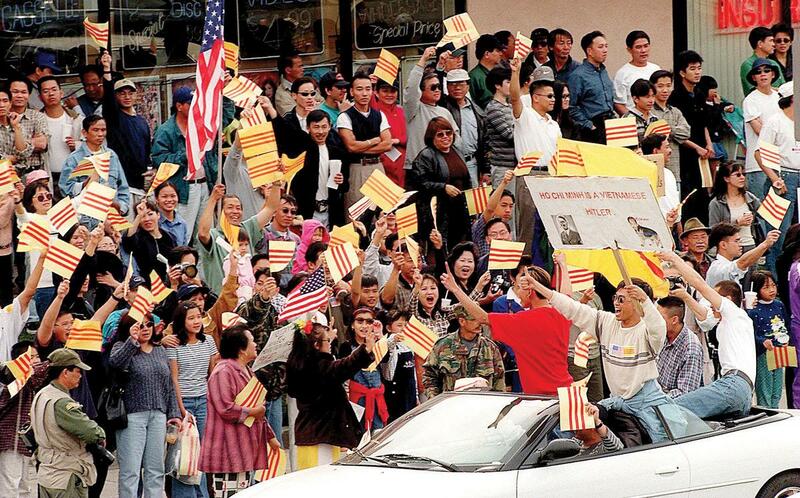 It was Little Saigon’s political awakening. 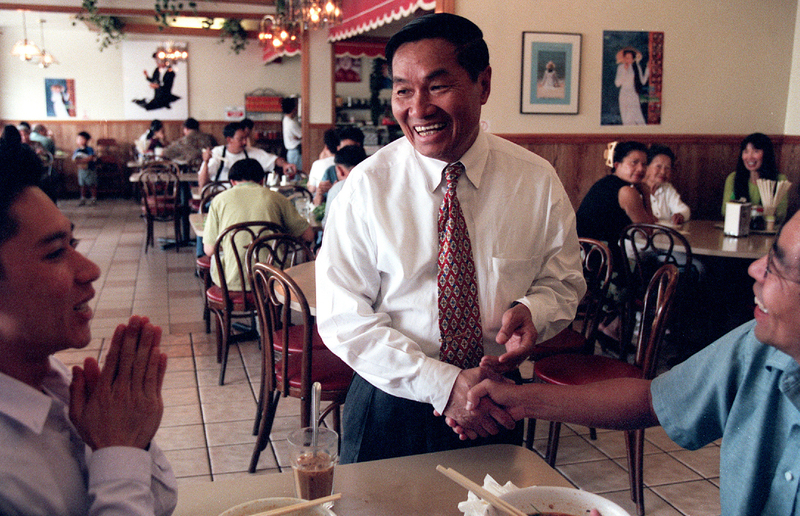 In 2004, Tran swept into the state Assembly with the nickname “Golden Boy.” And suddenly Little Saigon had a political voice beyond its borders. That same year, another Little Saigon resident found her voice. Janet Nguyen had been a 5-year-old boat refugee whose family received food stamps when they arrived in 1981. In 2004, she joined the Garden Grove City Council. Three years later, in a race won by just three votes, she became the first Vietnamese American on the Orange County Board of Supervisors. And in 2014, she rose to the California Senate – becoming Little Saigon’s most successful politician in 40 years. “I was basically the kid who had nothing, and went into the city and worked hard and achieved the American dream,” she says. 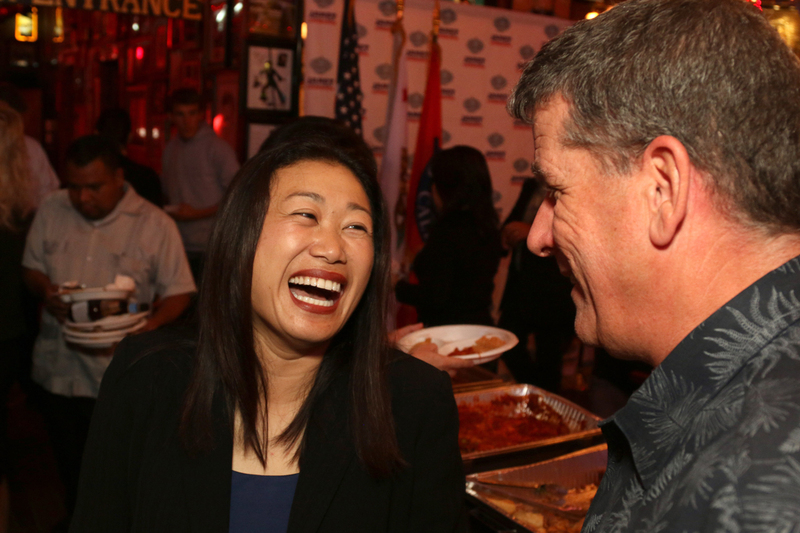 Janet Nguyen laughs with a supporter at Azteca Mexican restaurant in Garden Grove on Tuesday evening. Since the Hi-Tek protests, Little Saigon has elected, or helped elect, 11 Vietnamese American city council members, two county supervisors, one assemblyman and one state senator. In 15 years, they have gained legitimate political clout. But they do not all speak with one voice. Bao reflects an attitude that splits with the older generation. Another generational split came last year when a group of younger Vietnamese Americans moved its longstanding Tet Festival out of Little Saigon, to the Orange County fairgrounds in Costa Mesa. This year’s event was more inclusive than a second Tet Festival held in Little Saigon the same weekend – and more crowded. 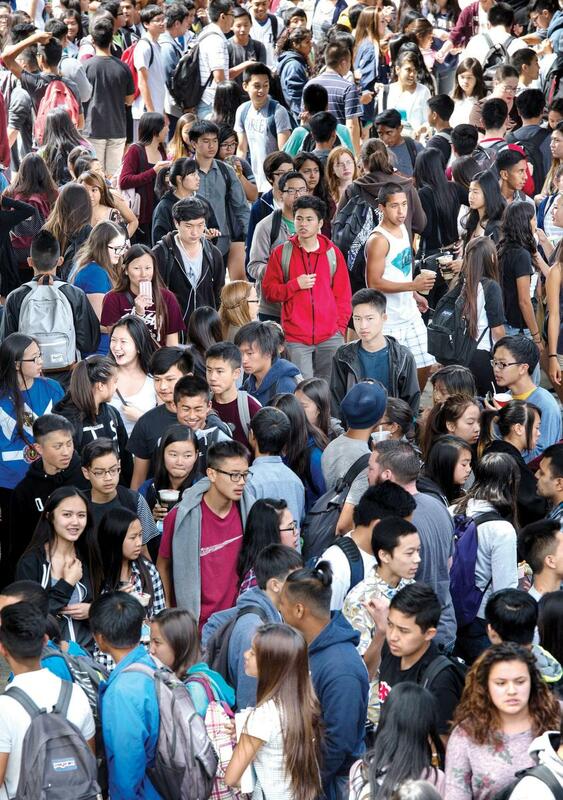 “The second generation is coming of age, and they are speaking their minds,” says Linda Trinh Vo, UC Irvine associate professor in Asian American studies. 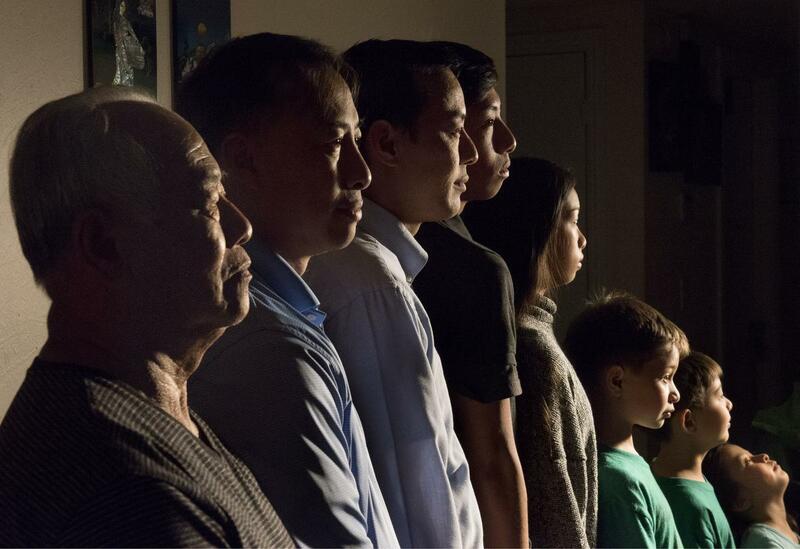 This cuts to the very heart of Little Saigon, the issue that both unites it – and divides it. A view looking west on Bolsa Avenue at the intersection of Brookhurst Street in Westminster with a photograph from August 1962. A small ceremony recently took place on Bolsa Avenue. Westminster Mayor Tri Ta gave a speech. A city worker in a bucket-lifter unveiled a street sign. Everyone cheered. It had a small-town feel. 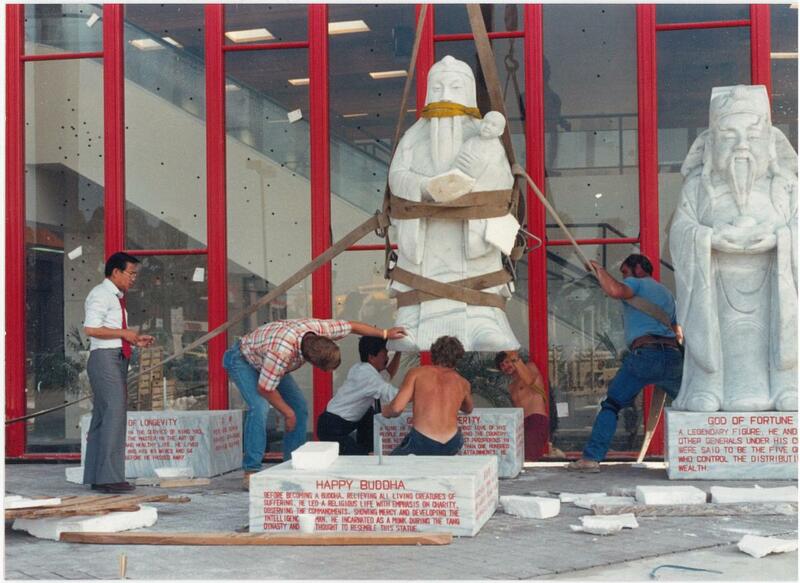 But what happened the morning of Feb. 20 illustrates the future of Little Saigon. To outsiders, Little Saigon is a place to get pho. But to those who built this place, it is sacred ground, proof that the country that existed before April 30, 1975 – their homeland – is still alive. Little Saigon is where people who lost their homes, families and dignity came in 1975 to get it all back. The place where successful people willingly scrubbed toilets, pumped gas and washed dishes to reclaim their lives. That is why people protested 53 days over a photo of Ho Chi Minh in 1999. It’s why they burned Ho Chi Minh in effigy, spit and shouted. It’s why people still insist on flying the South Vietnamese flag, why they still protest human rights abuses going on in Vietnam. From nothing, they built a new homeland. 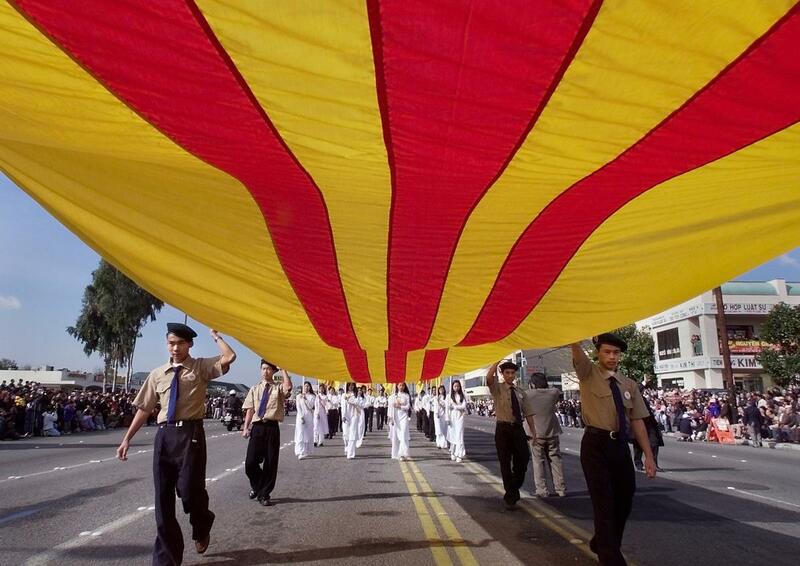 Because of their sacrifices, Orange County is home to about 189,000 Vietnamese Americans. Three out of four students at Westminster’s La Quinta High are Vietnamese American, the highest concentration of any U.S. school. Two Vietnamese Americans sit on the Westminster City Council and three, a majority, sit on the Garden Grove City Council. But Little Saigon also is a place in transition. Today only 45 percent of the county’s Vietnamese Americans live in Westminster and Garden Grove. The majority have moved away. The children and grandchildren of those who built it see a different future, with less anger. For them, April 30, 1975, is something to read about in school. Most, however, now concede that Vietnamese Americans no longer live in exile. They have a home. And it’s here. “Forty years ago, the Vietnamee lost the name ‘Saigon,’ and it marked a new chapter of the Vietnamese being refugees all over the world.” Mayor Ta told that small crowd on Feb. 20 as a city worker revealed the new street sign name. “Little” Saigon? Not this sign. Staff writer Tom Berg wrote this story. It was reported by Berg, Roxana Kopetman and Chris Haire. Also contributing were Ian Wheeler, Margot Roosevelt and Martin Wisckol. Without Hung Trinh, 76, of Westminster this portrait would not be possible. From left, his sons Cuong, 40, Dung, 46, and grandchildren Jonathan, 17, Elizabeth, 13, Matthew, 8, Daniel, 6, and Sara, 4. The Trinh family is so close they live on the same block in three separate homes, but no further than 8 houses apart. Hung, a soldier/POW, barely got out of Saigon in 1975. His wife is now a Buddhist monk. ///ADDITIONAL INFORMATION: VietChange.cy Ð 04/14/15 Ð CINDY YAMANAKA, ORANGE COUNTY REGISTER – NOTE- mom did not want to be photographed. Taken at Hung’s home Fall of Saigon package / ‘A County Changed Forever’ story on Day 1: Dung Trinh will probably be the lede and ending of this story detailing the assimilation of OC’s Vietnamese Americans over the past 40 years. Thursday he’ll be with his dad (a soldier/POW/ barely got out of Saigon in 1975), his mom (now a Buddhist monk with shaved head), his wife and two entirely Americanized teenaged children. Dung, 5, three youngers siblings and his mom left Vietnam April 29, 1975, by helicopter and landed on the USS Midway (now in SD), where he watched them push helicopters off the flight deck all afternoon to make room for others. The family reunited in Guam, then flew to Pendleton with nothing at all. They lived in an abandoned YWCA until dad got a janitorial job. Dung joined the US Marines the day he graduated high school and trained at Pendleton where he spent his first few weeks in America. Then he went to medical school and became a doctor. Now he’s part of a non-profit, “7 Day Hero,” that brings (American) Vietnam vets back to Vietnam to heal the psychological wounds they carry from the war. The three ‘skins’ of Vietnam, the north, central and south are represented by the three red strips on the South Vietnamese flag carried by the Free Vietnam Youth. The group was one of dozens of participants in the Tet Parade 2001 in little Saigon Saturday morning. Holding a sign that compares Ho Chi Minh to Adolf Hitler, Andy Nguyen shouts “down with communism” as he marches with more than 500 anti-communist demonstrators outside the video store owned by Truong Van Tran. Nguyen said he spent 15 years in a Vietnamese prison as a political prisoner. The store owner has been at the center of protest since he hung a picture of Hi Chi Mihn and the communist flag in his store, Hitek Video in Little Saigon. The protest lasted several hours as marchers circled the block again and again. 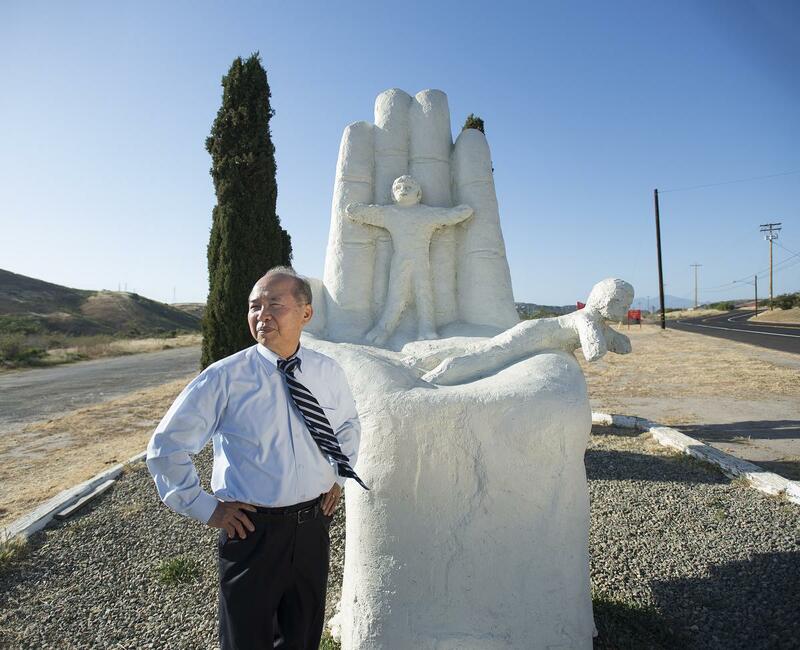 Retired Superior Court Judge Nho Trong Nguyen is at the “Hand of Hope” just south of Camp Telega, a section of Camp Pendleton, when he and his family of five stayed when they first arrived in the U.S. The statue commemorates the warm reception given by Americans to thousands of Vietnamese and Cambodian refugees during “Operation New Arrival” in 1975. ///ADDITIONAL INFORMATION: VietTicToc1.cy Ð 04/12/15 Ð CINDY YAMANAKA, ORANGE COUNTY REGISTER – CCI-Id: B64526092Z.1 NOTE: First Lady visiting had nothing to do w/ Pham asking Pres. Ford to help find her husband. The couple never met Betty Ford. 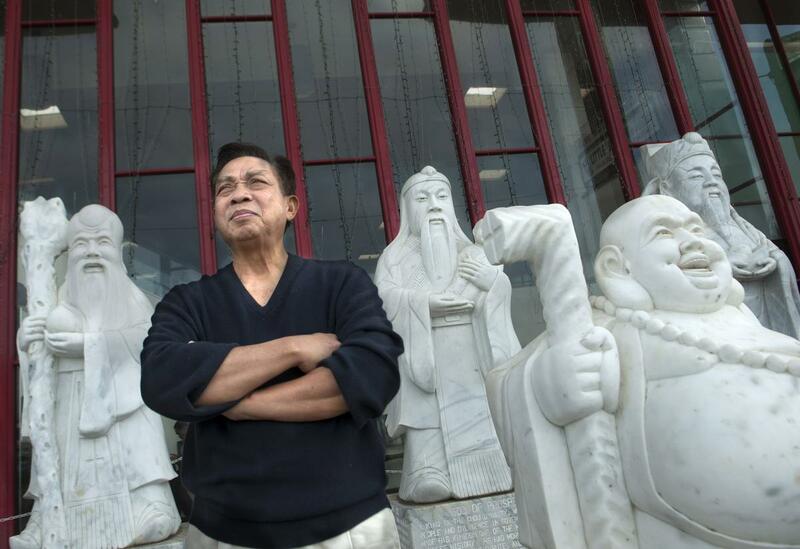 Frank Jao, (far left) president and CEO of Bridgecreek development, oversees the placement of statues in front of his Asian Garden mall, which was completed in 1987. Little SaigonÕs centerpiece is the 150,000-square-foot Asian Garden Mall (Phuc Loc Tho), a hub of Vietnamese-American businesses and cultural activity in Little Saigon where kids can buy fresh-squeezed sugarcane juice as adults bargain down prices at jewelry stores and the countyÕs largest gold jewelry mart under one roof. Phu Nguyen stands in front of the oldest branch of Hoa Phat, the family money transfer business named after his parents Phat Nguyen and Hoa Nguyen. The family experienced a harrowing escape from Vietnam. Today the family gained financial success in the US and Vietnam. Now the family runs a cargo business, and a money transfer business with 30 branches in the US and 100 employees in Vietnam. 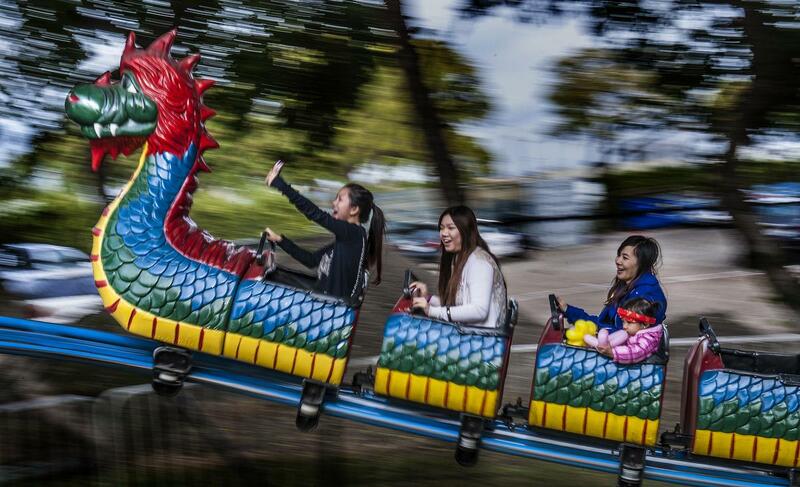 At the Vietnamese Community Tet Festival, aboard the Dragon Wagon ride, Sharon Nguyen, left, takes a “selfie” photo of herself, as Lucy Bang, Sim Vo, and her daughter Angeline Nguyen ride behind. All four women live in Garden Grove. ////ADDITIONAL INFO: 0201.tet.gardengrove.bbc- Day: Friday – Date: 1/31/14 – Time: 2:59:55 PM – Original file name BBC_1543.NEF PHOTO BY, BRUCE CHAMBERS, ORANGE COUNTY REGISTER – GARDEN GROVE – The Vietnamese Community Tet Festival begins Friday at 1 p.m. at Garden Grove Park. This is the first year in more than a decade it’s being organized by the Vietnamese Community of Southern California. The 3 day event is expected to attract as many as 70,000 attendess, according to organizers. Lan Zentil, center, chats with family as she eats with her husband, Tony Zentil, left, and father, Hung Pham at Pho Quang Trung Restaurant in Little Saigon. The family was sharing a meal at one of their favorite restaurants before heading to Vietnam earlier this year. 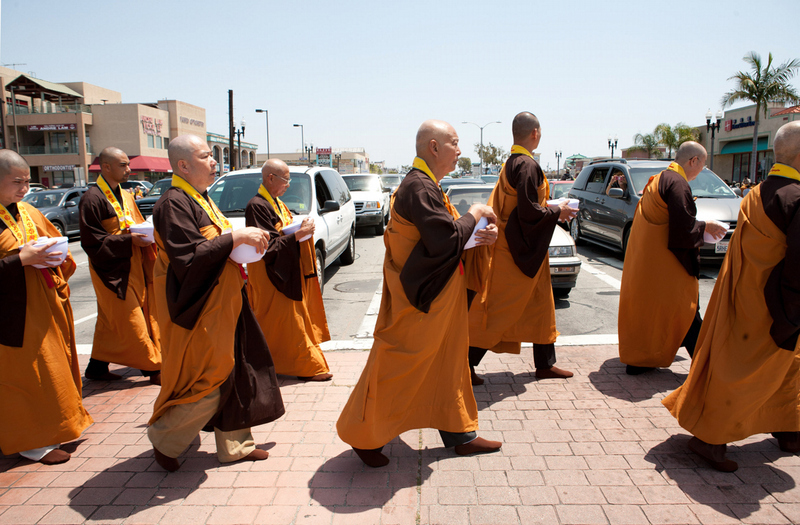 Dressed in elaborate orange-colored robes, hundreds of Buddhist monks cross Magnolia Avenue during a silent march on Bolsa Avenue to celebrate the Buddha’s birthday in 2012. September 6, 2015. Hours are 7 pm to 11 pm, on Fridays, Saturdays and Sundays. 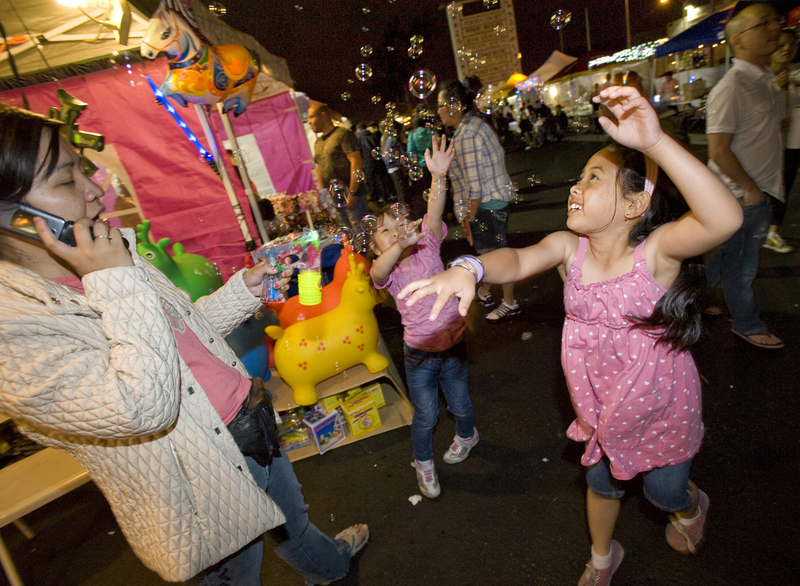 Leanna Trang, 4, left, and her sister Annie Nguyen,7, right, play with bubbles at a toy booth at the “Night Market” at the Asian Garden Mall in 2011. A drill team member from Bolsa Grande High School marches in traditional dress during theTet parade along Bolsa Avenue, as part of the 31st annual Tet Festival in Westminster in 2012. 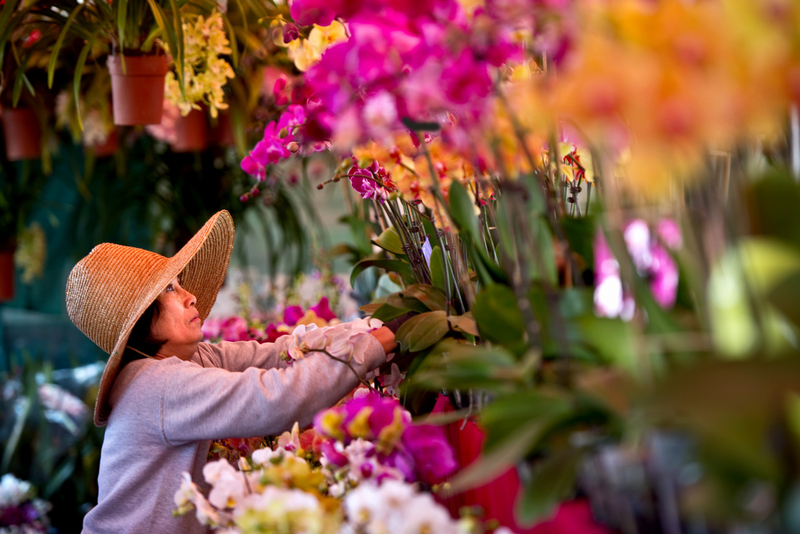 Hue Huynh gets a floral arrangement prepared for the 12th annual Flower Festival at the Asian Garden Mall in Westminster earlier this year. The festival gathers hundreds of flowers, fruits and trees in celebration of the lunar new year.